When Breathing is a Burden—COPD Facts November is COPD Awareness Month. COPD, short for Chronic Obstructive Pulmonary Disease, describes progressive lung diseases including emphysema and chronic bronchitis. Chronic lung diseases are the third leading cause of death in the United States, behind only cancer and cardiovascular disease. Here are symptoms and risk factors for developing it. UT Physicians Sickle Cell Center Expands Resources for Patients For people living with sickle cell disease, chronic pain becomes an all too familiar part of everyday life. The UT Physicians Comprehensive Sickle Cell Center is working to help change that. UT Physicians has expanded the Sickle Cell Center to accommodate the growing number of patients. Subspecialists, social services and behavioral health services have all been added to the center for a holistic approach to patient care. UT Physicians Orthopedist Makes Impact in Cambodia A second medical mission trip by UT Physicians’ Matthew Koepplinger, D.O., impacted the quality life for many, including burn victims, in Takeo, Cambodia. UT Physicians Launches Integrative Children’s Initiative A unique day treatment program for children and adolescents with medical issues complicated by emotional and behavioral challenges has opened at UT Physicians flagship location in the Texas Medical Center. 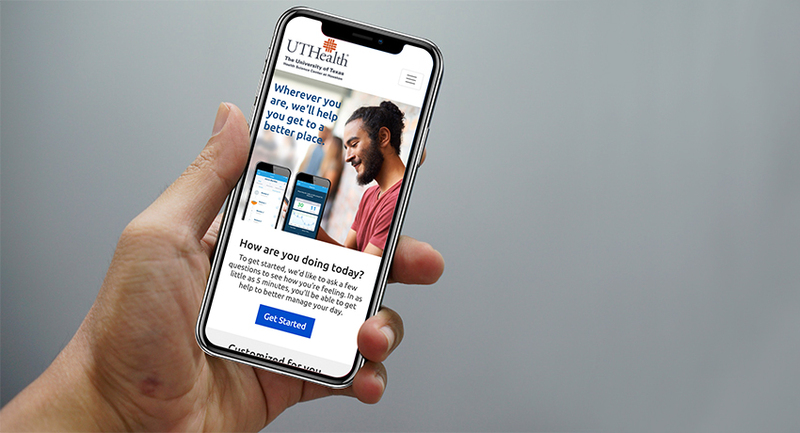 The UT Physicians PATH program team is comprised of faculty and staff of McGovern Medical School at The University of Texas Health Science Center at Houston (UTHealth). Schizophrenia Study on Mild Electrical Stimulation A safe, noninvasive weak electrical current delivery will be investigated for its potential in treating schizophrenia by a UT Physicians psychiatrist. Language Barriers Impede Treatment of Children with Special Needs Language barriers can have dangerous consequences for children with special health care needs. UT Physicians Offers Free Vascular Screening Program UT Physicians is bringing Dare to C.A.R.E., a national vascular screening and disease management program, to the Greater Houston area. Caring for the Smallest of Patients On January 24, 2013, Iris Vega-Figueroa’s life changed completely. That’s the day she gave birth to her twin girls, Iris and Geraldine. UT Physicians Offers Extended Clinic Hours UT Physicians offers extended clinic hours at various locations across the Greater Houston area beyond 8 a.m. – 5 p.m. Monday through Friday. Dr. Francisco wins international honor Gerard Francisco, M.D., UT Physicians physical medicine and rehabilitation specialist, chair of the Department of Physical Medicine and Rehabilitation at McGovern Medical School, and chief medical officer at TIRR Memorial Hermann, is the 2016 recipient of the Sidney Licht Award from the International Society of Physical and Rehabilitation Medicine (ISPRM). Pediatric nurse Traci Gonzales named “tops” by Chronicle Traci Gonzales, UT Physicians pediatric pulmonary nurse practitioner, is the recipient of a Top 150 Nurse Award by the Houston Chronicle. Smalling receives master interventionalist designation Dr. Richard Smalling has been named to the new class of Master Interventionalists of the Society for Cardiovascular Angiography and Interventions (SCAI). Teen clinic expands in Southwest Houston UT Physicians is expanding its pediatric teen clinic in order to accommodate the growing number of teen patients seeking care. Sports physicals specials offered UT Physicians is offering a special rate for sports physicals during the month of June at its two Katy locations. Huntington’s disease center named center of excellence The comprehensive Huntington’s disease program at UT Physicians and McGovern Medical School has been named one of the HDSA Centers of Excellence for 2016 by the Huntington’s Disease Society of America (HDSA). American Heart Association taps Taegtmeyer for scientific statement The American Heart Association asked Dr. Heinrich Taegtmeyer, UT Physicians cardiologist, to write a comprehensive piece on how the body powers up the heart. UT Physicians present research during ACC conference Experts from UT Physicians presented during the American College of Cardiology (ACC) Scientific Sessions in Chicago, Illinois. Sola wins national nursing award Cristina Sola, nurse manager for the Department of Cardiothoracic and Vascular Surgery, is the winner of the Society for Vascular Nursing’s (SVN) 2016 Clinical Excellence Award. Milewicz honored with Belgium’s Princesse Liliane Professorship Dianna Milewicz, M.D., Ph.D., UT Physicians internist, is the first woman to receive the Visiting Professorship Award from the Fondation Cardiologique Princesse Liliane in Belgium. Free skin cancer screening May 14 The Houston Dermatological Society is hosting a free skin cancer screening 10 a.m. – 1 p.m., Saturday, May 14. The screening is open to the general public on a first-come, first-serve basis. UTHealth Stroke Festival May 14 at Buffalo Bayou Park The fourth annual Stomp Out Stroke Festival to raise stroke awareness will be May 14 at the Water Works, Buffalo Bayou Park, 105 Sabine Street.